​A must read for anyone who is truly looking for a robust, all-encompassing, and fulfilling roadmap for their later years. Retirement is more than a money crunching exercise. Canadian Institute of Financial Planning. ​A comprehensive approach to re-framing retirement from an outdated model to an energizing phase of life. ​This lively and engaging book raises the questions which have been in my mind and provides a rich resource for exploring them. 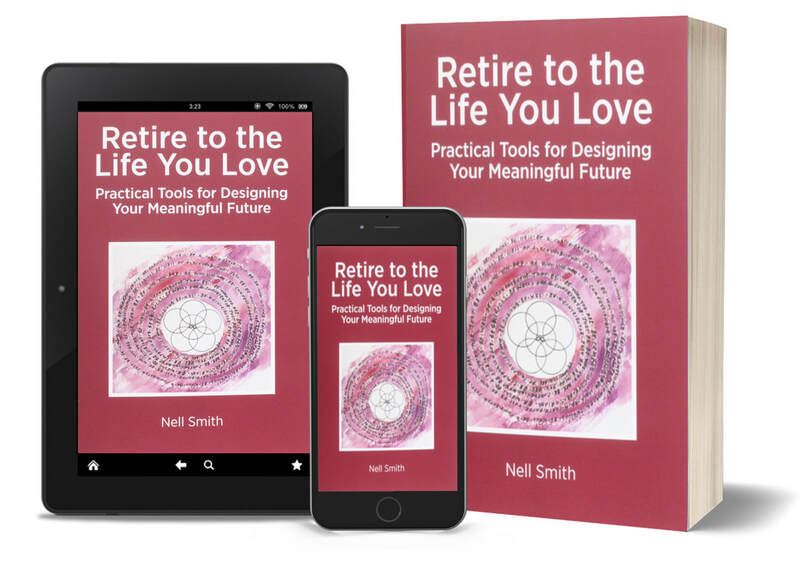 ​Like a conversation with a life coach, Nell deftly guides you with examples, stories, and practical tools to show you the opportunities a long life can bring. ​Founder/CEO of Age Wave and an expert on the Longevity revolution.